PRICE REDUCED! MOTIVATED SELLER!! 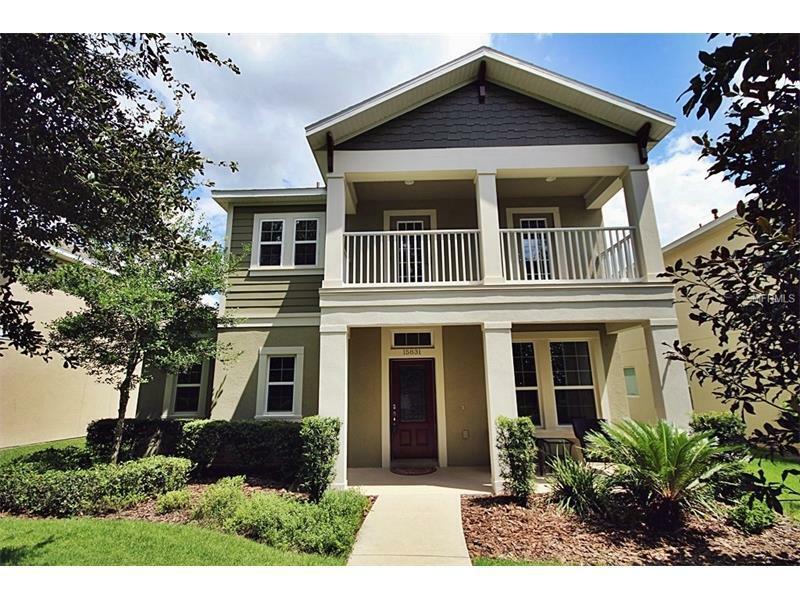 Tucked away in a serene park like setting of "The Commons" in Fishhawk Ranch, this beautiful David Weekley "green certified" home has got it all! Walking distance to The Starling Club and Tennis courts, you can't beat the location! Craftsman style elevation with two covered front porches and a covered lanai area in the rear of the home along with a fenced backyard. Inside is full of upgrades for a new owner to enjoy: a kitchen that will delight any cook featuring stainless steel appliances, granite counter tops, upgraded cabinetry accented by tile backsplash and breakfast bar with drop down lights. The kitchen opens to the spacious great room, perfect for family gatherings and just off the great room is the master suite accented with a trey ceiling, crown molding, large walk in closet and a gorgeous bath featuring an oversized walk in shower with upgraded tile, dual vanities with granite counter tops and upgraded lighting. The downstairs has a generous sized office with double french doors and a powder bath, ideal for guests. Upstairs is huge, with 2 nice sized bedrooms and a big bonus room with dual doors leading to the balcony, a great place to unwind after a long day at work. The garage has an extension on the side that makes it much larger than the normal 2 car garage. The home has a water softener and WASHER AND DRYER are included. Enjoy all the amenities Fishhawk Ranch has to offer, miles of trails, resort style pools, fitness centers, skate park, and Park Square!